I’ve been rather preoccupied over the past few weeks, having moved from the east coast of the UK to the west. As a result I haven’t been posting and I’ve only dipped in to take the occasional look at what’s going on. But, things are settling down…. the boxes are unpacked and I’m establishing some kind of new routine, although there are still a few bits of remedial decorating work to be done. My garden is definitely a work in progress as I try to resurrect a somewhat neglected lawn and trim the hedges back to reveal the shrubs I planted when I first bought the house 6 few years ago. This was my retirement plan, but things have changed in six years and now I’m needed elsewhere, so this is only a temporary residence until I can sell and move closer to my family. Meanwhile I’m going to try and make the most of the beautiful area I’m in. hopefully entertain some visitors and get out and about with my camera. 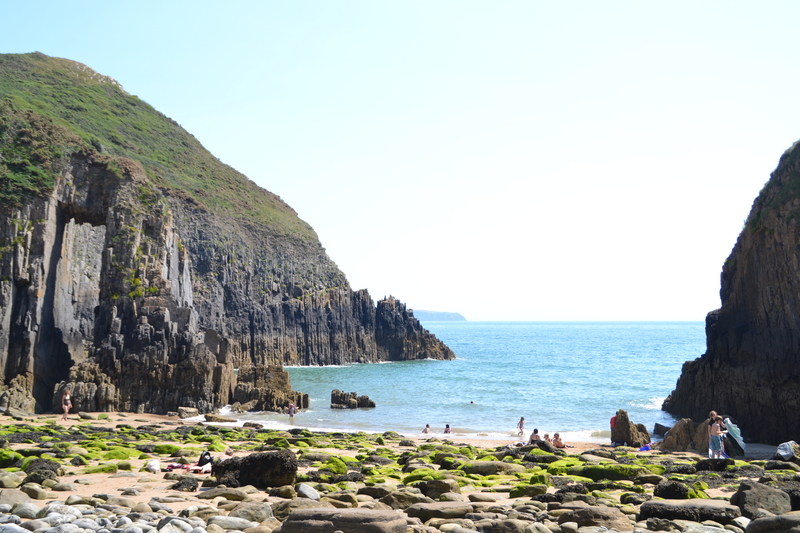 A completely unadulterated shot of one of my many local beaches to be going on with…..
Gorgeous. Bit of a contrast to the big skies of Norfolk! Very different but also very hilly and, at the moment, very wet!! I’m trying to work out if I can fit in a flying visit. I’ve still never been to Pembrokeshire and it is ages since I’ve seen you. The spare room is free if you decide you’d like a few nights in the Big Smoke. Family coming and going until the end of August, but spare room is free after that! There is a direct rail link to the village as we’re on the line for the Irish ferry but you need to change at Swansea or possibly Cardiff. Pembrokeshire is beautiful when the weather is fine but can be dismal when it’s wet. London seems a very long way away but I may well need an injection of civilisation from time to time! I have a feeling my railcard is going to come in very handy! I’m currently en route to Norwich for a few days again!